This is a truly wonderful book that presents the great paintings that painters from the past have given to us. The selection of paintings are from 1100 to the present. 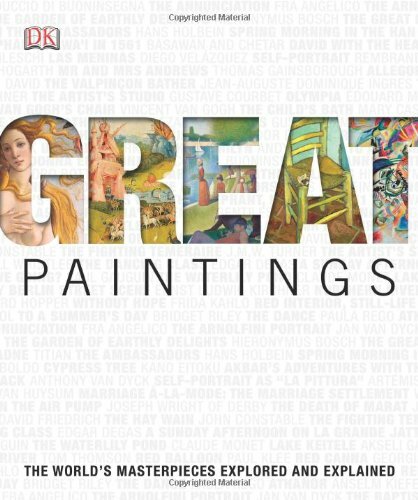 There are 66 paintings included in this 256-page hardcover. You'll see masterpieces from artists such as Leonardo da Vinci, Caravaggio, Goya, Edgar Degas, Vincent van Gogh, Claude Monet and more. There are the classic pieces like Mona Lisa, Guernica as well as less famous but still pretty amazing paintings. Each painting is analysed with commentary to what makes the painting great. It's an insightful and absorbing read. There are close ups to important parts of each paintings and captions that explain the story, technique and context. The book's quite big and the paintings are also printed huge. Going through this book is a different experience compared to viewing the paintings at museums of course. But if you don't have the opportunity to do so, at least there's this terrific book available. It's a well worth the money.